How do children and young people experience and understand sport and physical activity? What value do they attach to physical education and physical literacy? This important new book attempts to engage more directly than ever before with the experiences of young people by placing the voices of the young people themselves at the centre of the discussion. As the need to listen to young people becomes increasingly enshrined in public policy and political debate, this book illuminates our understanding of an important aspect of the everyday lives of many young people. With contributions from leading researchers and educationalists from around the world, the book draws on a diverse range of methodological and theoretical perspectives to demonstrate how we can better understand the unique perspectives of young people, how teachers and coaches can respond to and engage with the voices of young people, and how young people can be afforded opportunities to shape their education and leisure experiences. The book presents a fascinating range of case studies from around the world, including the experiences of African American girls and masculine sporting identities in Australia, and addresses both theoretical and policy debates. 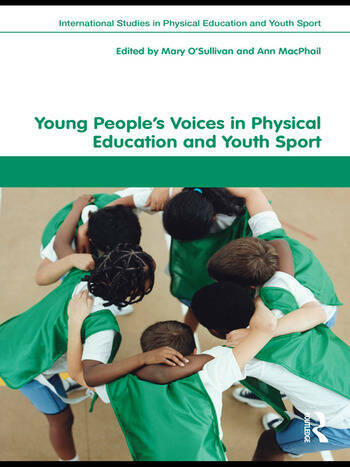 Young People’s Voices in Physical Education and Youth Sport is essential reading for any serious student or professional with an interest in PE, youth sport, sports development, sports coaching, physical activity and health, education or youth work.